We briefly mentioned previously about the new FMM press ice cake decorating tools. After recently having the opportunity to use these three different presses on some of our new wedding cakes designs and we thought it was well worth while mentioning these simple but effect cake decorating tools again. Press-Ice tools are a brand new range of icing impression marker tools from FMM that allow you to mark a decorative pattern quickly and accurately. They are ideal for polka dot and ‘Tiffany’ pearl designs, delicately piped ribbon and borders, appliquéd shapes and patterns, vintage floral prints and for cross stitch grids. Pipe tiny icing pearls over each indentation or use as markers for more intricate designs. 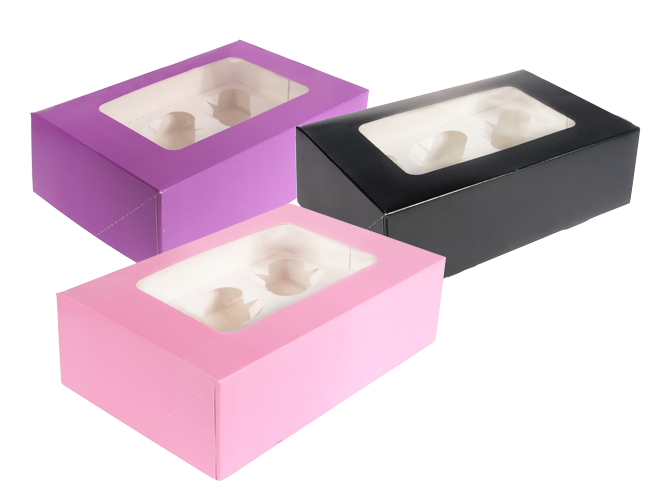 We also have a new range of coloured cupcake boxes, available in baby blue, baby pink, red, black, bright pink and yellow in our Sugarbliss Cake Decorating Shop. Another new cake decorating product that we have had great fun using, is the silicone Plastique by Myom. 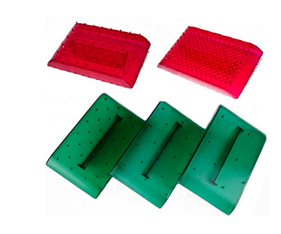 Silicone Plastique is a food moulding putty that lets you make your own food moulds of any product. It has a clay like consistency allowing for a 10 minute working consistency and an hour long drying time. This product will allow you to make chocolate or an Isomalt mould of your favourite household objects, why not make some chocolate pennies a fun kids party bag idea. Our new wedding cake designs are now complete for 2014 and are very excited to be launching our new wedding cake collection at the renowned Asian Wedding Show Europe’s largest Asian Wedding Show on 2nd February 2014 at the incredible National Motorcycle Museum, West Midlands. This entry was posted in cake decorating shop, cake decorating supplies, wedding cake, Wedding Cake Designs and tagged cake decorating shop, wedding cake designers, wedding cake designs, wedding cakes by Sugarbliss. Bookmark the permalink.